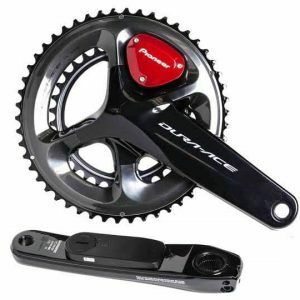 We carry the largest selection of power meters and accessories that you will find in one place. We have 14 of the top power meter brands and over 100 different individual power meters. Our selection includes power meters for road, MTB, cyclocross, track and BMX. Below, we provide a brief overview of each brand as well as the key highlights and features of their power meters. We hope this allows you to more easily compare and contrast your different power meter options. We also provide a link to our product pages for each brand, where you can find detailed information on each individual power meter. You can click on any brand to jump straight there. 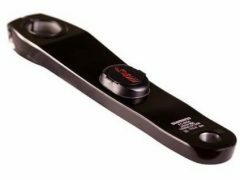 4iiii Innovations makes crank arm-based power meters for the road and MTB. Their 1st generation left side crank arm is the PRECISION. 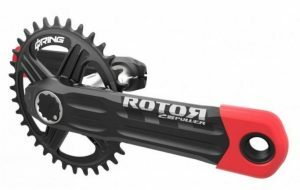 While the PRECISION remains very popular, they are currently rolling out their 2nd generation crank arm called the Podium. They also offer the Podium in a dual-sided crankset. 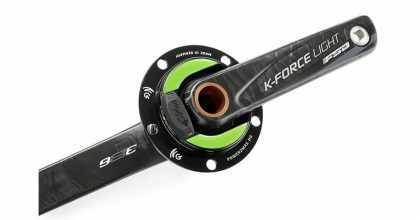 Easton and Race Face offer the CINCH Power Meter Spindle. 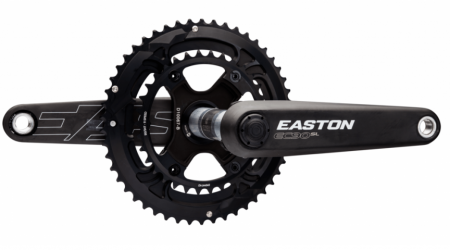 Paired with Easton’s EC90 SL road or Race Face’s Next SL MTB cranksets, the CINCH replaces the OEM spindle (axle) and measures left-side power. This replaceable spindle system allows users of Easton or Race Face cranksets to easily and affordably add power to their bikes. Favero is on the second version of its power meter pedal and it’s called the Assioma. They offer the Assioma DUO which measures left and right leg power, as well as the Assioma UNO which measures left leg power only. 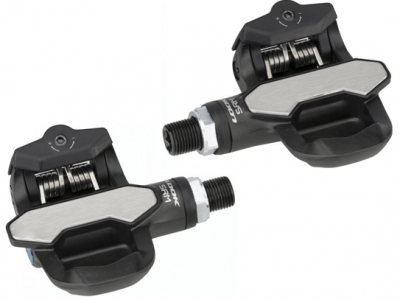 The Favero Assioma is the most affordable power meter pedal available. 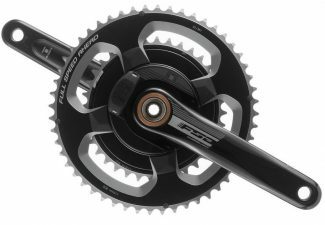 In 2017 FSA released their PowerBox Crankset Power Meter. It uses power2max’s proven spider design and comes with FSA chainrings and crank arms. It comes in both alloy and carbon versions. 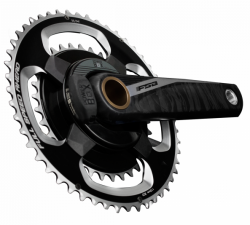 At $649, the alloy version is the most affordable crankset-based power meter on the market. 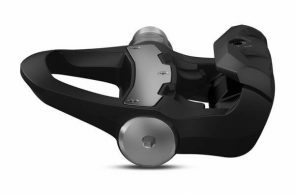 Garmin is on the third version of its power meter pedal, the Garmin Vector 3. 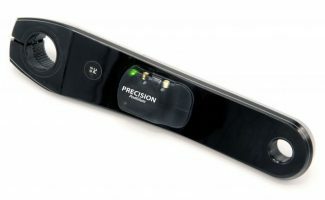 They offer the Vector 3 which measures left and right leg power, as well as the Vector 3S which measures left leg power only. 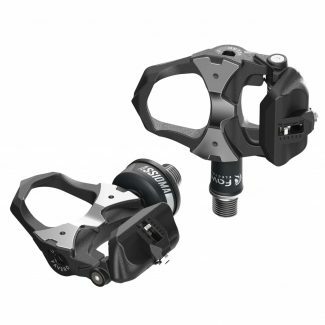 While the previous versions were met with mixed reviews (largely due to the pedal pods and torque requirements), the Vector 3 and 3S have received high marks for their easy to use design and slim form. Created in partnership with SRM, the EXAKT pedal-based power meter is built on a LOOK carbon pedal body and benefits from SRM’s deep experience in building power meters. Available in dual- and single-sided versions, the EXAKT offers all the features you would expect in a modern-day power meter including dual-sided power, easy installation, Bluetooth SMART and a rechargeable battery. 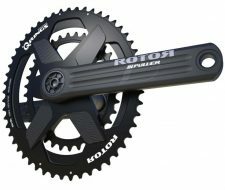 Pioneer makes a crank arm-based power meter. 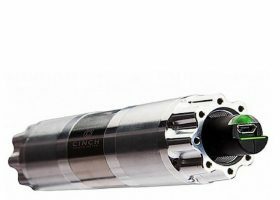 Like some other manufacturers, they locate their power sensor on the inside of the crank arm and make both single and dual-sided systems for the road. 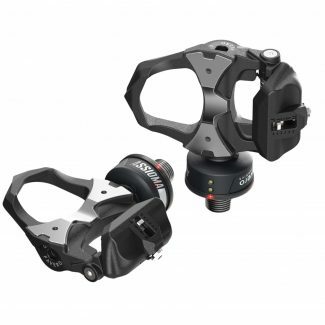 Pioneer is known for its 12-point force measurement and HDPower Metrics, an in-depth pedaling metrics analysis. power2max makes spider-based power meters for the road, MTB and track. 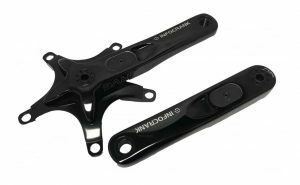 They offer both stand-alone power meter spiders that you install in replace of your current spider, as well as complete cranksets. Their newest model, the NGeco, has dual-leg power measurement, L/R balance, Bluetooth SMART and auto-zero, among other features. 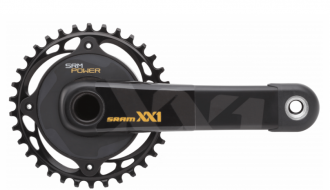 power2max makes models to fit virtually every crankset and frame. PowerTap has been making power meters for close to 15 years. 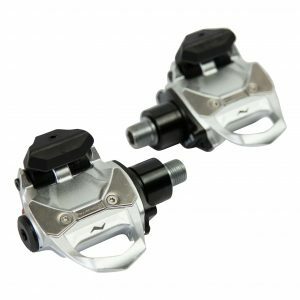 They currently offer the popular and well-known PowerTap P2, a pedal-based power meter for road bikes. 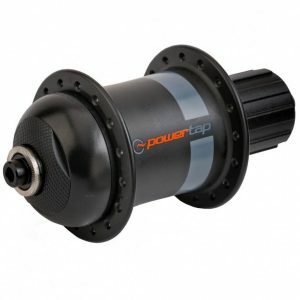 They also sell the PowerTap G3 hub, with versions for road, MTB and track. 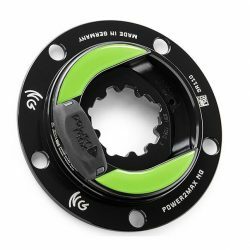 PowerTap is the only power meter brand that makes a hub-based power meter. 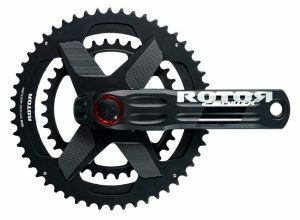 ROTOR offers a variety of bottom bracket-based power meters for the road and MTB. 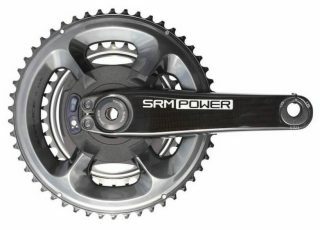 Their power meter is essentially a crankset (arms, spindle and spider – rings sold separately), however they locate the power sensor and electronics in the axle of the crank (hence the term “bottom bracket-based power meter”. They offer the dual-sided 2INpower as well as the single-sided INpower. SRM has been producing power meters since the late 80’s and many consider them the gold standard of power measurement. 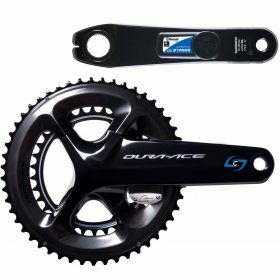 They offer crankset-based power meters (with or without chainrings) with power measured at the spider. 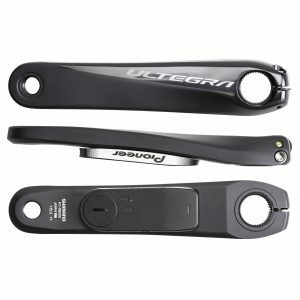 Their newest power meter is the Origin, which uses a LOOK carbon crank arm for superior stiffness and low weight. 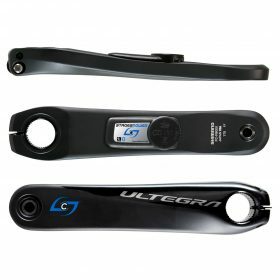 Stages Cycling was the first power meter brand to produce a left side crank arm-based power meter. 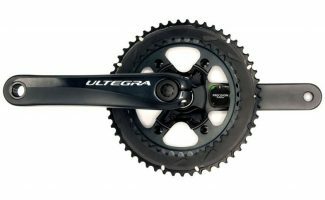 They are now on their third generation of power meters and make left side only, right side only, as well as complete cranksets. 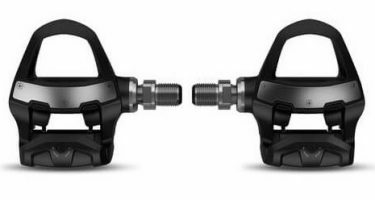 Stages makes power meters that are compatible with Shimano, Campagnolo, FSA, Cannondale, SRAM and Race Face. 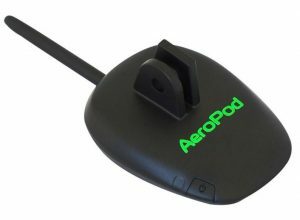 Velocomp, manufacturer of the AeroPod and PowerPod, takes a different approach than other power meter brands. These power meters measure power by calculating the forces that oppose the rider – wind, gradient, acceleration and friction. This is called opposing force technology. While this type of power meter isn’t for everyone, it does offer a number of unique benefits. 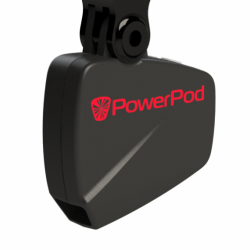 *The AeroPod and PowerPod don’t display real-time L/R data, however using Velocomp’s Isaac software, you can analyze your pedal stroke in detail on a post-ride basis. 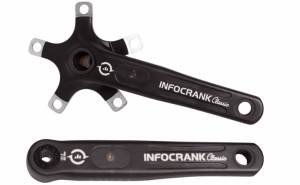 Verve Cycling manufactures the InfoCrank, a complete crankset. 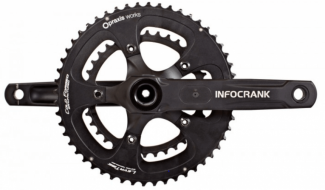 The InfoCrank is considered one of the most accurate and consistent power meters. Verve places its strain gauges within the crank arm – the only one to do this. The InfoCrank has been certified +/- 0.5% accurate, all the way up to 3,000 watts.